Want this item tomorrow, Thursday 25th April? Order within the next 3 hrs 8 mins and choose Next Day Delivery during checkout. 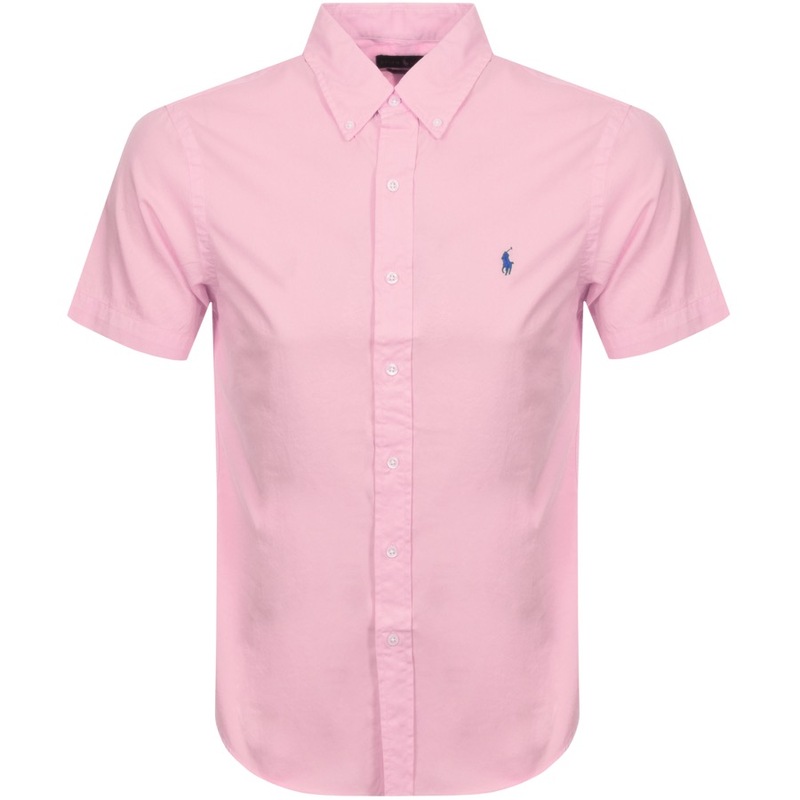 Ralph Lauren Short Sleeved Shirt In Pink, Slim Fit. Constructed in featherweight cotton twill with full front pearlescent button opening and a button down shirt collar. Short sleeves and the signature Ralph Lauren Polo Player logo is embroidered on the left of the chest in blue. A central pleat on the reverse and a curved hem. 100% Cotton. Brand New Collection Of Fashionable Ralph Lauren Shirts Live Online.